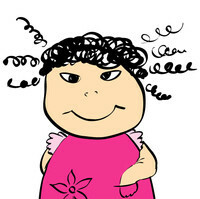 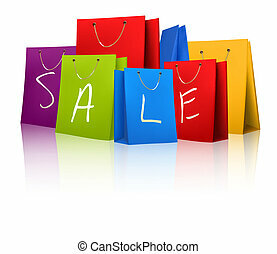 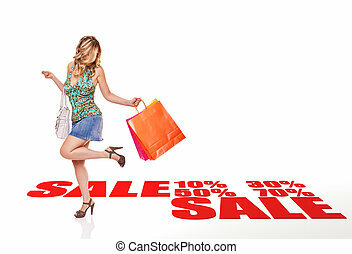 I love sale! 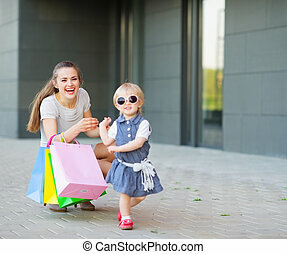 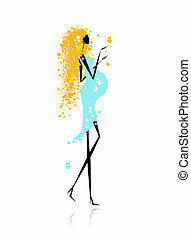 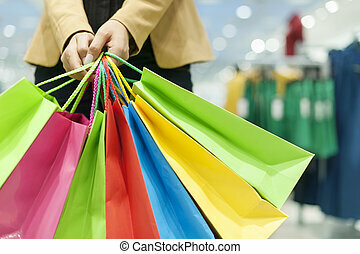 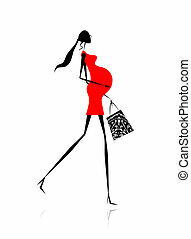 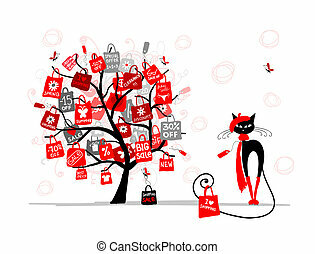 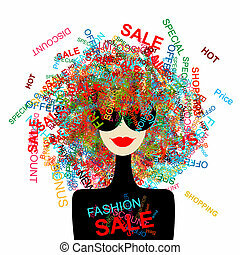 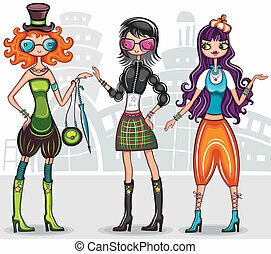 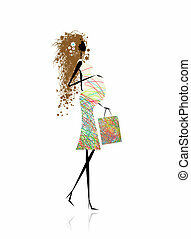 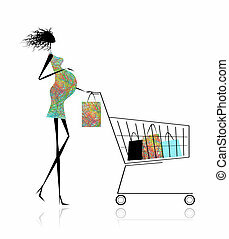 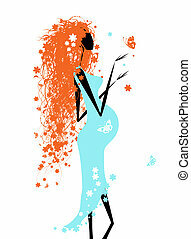 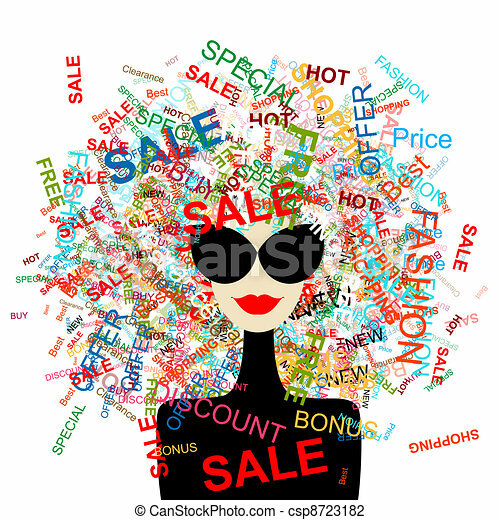 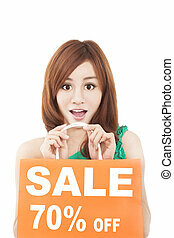 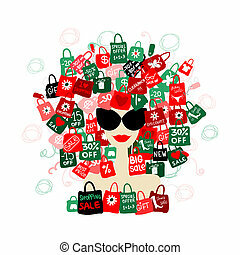 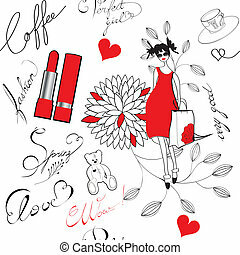 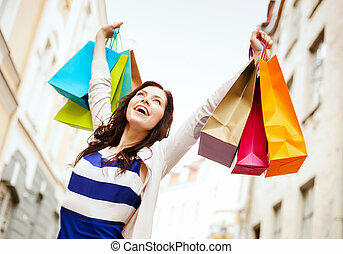 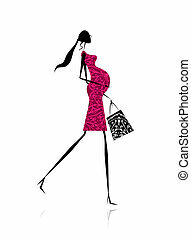 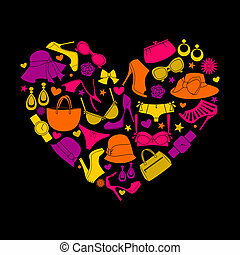 fashion woman with shopping concept for your design. 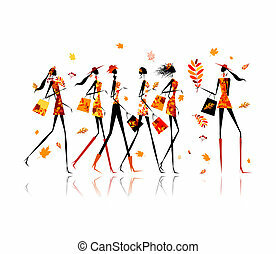 Five men & women shoppers push shopping carts. 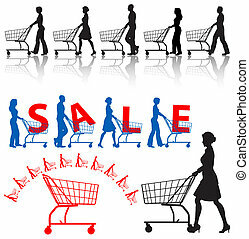 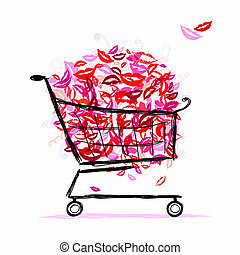 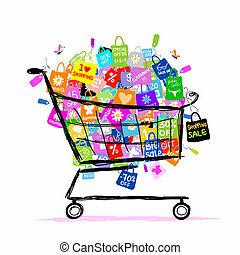 A SALE sample design, a shopping-carts element. 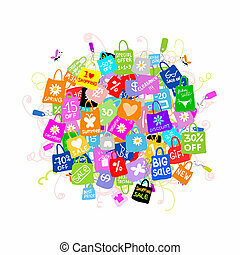 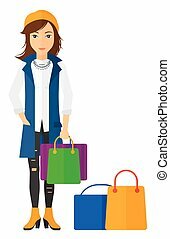 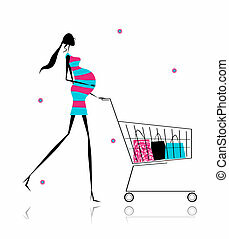 A woman standing with some shopping bags in hand and some bags on the floor vector flat design illustration isolated on white background. 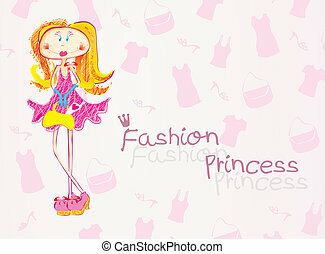 Fashion seamless pattern on white.